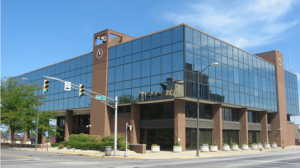 Welcome to Anderson, Indiana, where opportunities abound and the potential to thrive resides. Located approximately 34 miles northeast of Indianapolis, Anderson is an oasis in the midst of Indiana cornfields–the perfect location for starting fresh. In spite of its turbulent history, the city of Anderson has finally settled into the ideal environment for planting and nurturing both families and small businesses. Several local high schools, private schools, and universities make Anderson a great location for families, while low rent and minimal competition offer incredible opportunities for small business owners. Anderson’s centralized location among other small Indiana towns also fosters growth and community in this region of the midwest. One of Anderson’s greatest feats is its art and music culture, which has been developed and supported over the past several years. In downtown Anderson, the Burdock House fosters growth in the artistic and musical culture of the city, with concerts produced and sponsored every month. Additionally, The Ribs Express hosts an open mic event once a month titled The Craft: Art, Music, and Poetry Showcase, which has been in existence for a few years as of now. Anderson Young Ballet Theater and and Anderson Mainstage Theatre also contribute to the dance and acting culture of the city. Another beloved part of the city of Anderson is its natural elements, with Shadyside Park and Rangeline Nature Preserve two of the most well-known locations for walking and hiking beautiful nature trails. Rangeline also specifically supports local vegetation and an interesting typography, which allows for fishing and all levels of mountain biking. Anderson is also home to Mounds State Park, a beautiful natural environment that boasts ten unique earthworks dating back to a prehistoric Indian people group. Today Anderson’s oldest indoor mall holds the title Mounds Mall, in honor of this natural phenomena. Perhaps Anderson, Indiana’s most well-known aspect, however, is its involvement in the history of the Church of God. Home to the Church of God Headquarters, members of this church ministry regularly host conferences and events in the city of Anderson. The Church of God also has several church homes established in the city, all of which contribute to the environment of Anderson through various volunteer, community engagement, and employment opportunities. The other prominent establishment that makes its home in Anderson is Anderson University, a small Christian college with a Church of God foundation. Founded in 1925 and originally titled Anderson College, Anderson University draws hundreds of students to the city every year. Featuring classes for undergraduate, graduate, adult studies, and seminary, Anderson University supports a diverse student body in spite of its smaller size. The campus also is home to Reardon Auditorium and the local Anderson radio station, which provide various music and artistic performances for the city of Anderson. Anderson University students contribute significantly to the culture of Anderson, and their presence adds life and youthful vitality to the city. 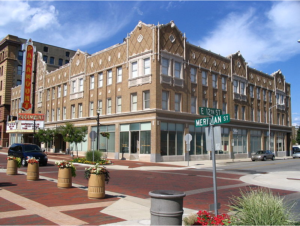 Anderson, Indiana has a unique blend of religious and industrial influences make this city an engaging place to both live and explore. Though Anderson has historically faced many difficulties, with several factories shutting down and the economy taking a significant hit, Anderson has finally become a city for small business owners, and has begun to develop a unique culture for students of art and music. Anderson is also home to the Wigwam, a nationally recognized gym that hosted several Indiana Pacers games and was the second largest high school basketball arena before it closed due to financial difficulties. However, recent exciting news revealed that a new client is moving into the Wigwam, and has plans for reinventing it into a complex focused on health, athletics, and wellness. Anderson, Indiana may be small and underappreciated, but it is by no means a dead or dying city. Anderson is ripe with potential and bursting with opportunity; the perfect grounds for starting fresh.